According to new research, published in the journal "Stroke" of the American Heart Association eating more fruits and vegetables may reduce the risk of stroke. The researchers conducted a meta-analysis of 20 studies published over the past 19 years to evaluate the effects of the consumption of fruits and vegetables on the risk of stroke worldwide. The combined studies involved 760 629 men and women. The risk of stroke decreased by 32% with each 200 grams of fruit consumed each day and 11% with every 200 grams of vegetables consumed each day. "Improving diet and lifestyle is essential for reducing the risk of heart and stroke in the general population," said Yan Qu, senior author of the study, director of the intensive care unit in Qingdao Municipal Hospital and professor at the Medical College University of Qingdao, China. "In particular, a diet rich in fruits and vegetables is recommended because it satisfies the need for micronutrients and macronutrients and fiber without adding too many calories overall energy needs." Researchers have identified a number of studies showing that a high consumption of fruits and vegetables can lower blood pressure and improve microvascular function. It has favorable effects on body mass index, waist circumference, cholesterol, inflammation and oxidative stress. The researchers combined the results of six studies from the United States, eight from Europe and six from Asia (China and Japan). 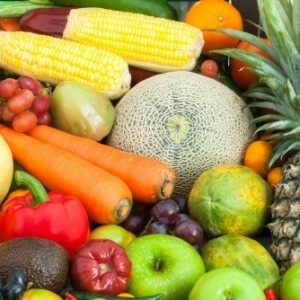 They note that a low intake of fruit and vegetables is prevalent throughout the world, especially in countries with low and middle income countries. The researchers adjusted the results of the study on the basis of factors such as smoking, alcohol, blood pressure, cholesterol, physical activity, body mass index and other variables. Increase consumption of fruits and vegetables up to 600 grams per day may reduce the risk of ischemic stroke by 19% globally, according to the World Health Organization. In China, stroke is the leading cause of death, with an estimated 1.7 million people died in 2010. U.S., it is the fourth leading cause of death and a major cause of disability.